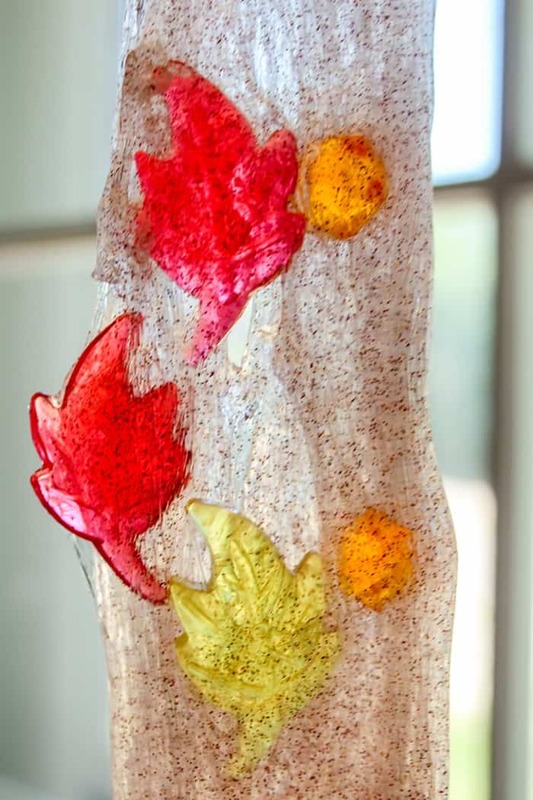 A borax-free, cinnamon-scented fall slime perfect as a preschool science activity or for sensory play. It can be hard to get kids excited for Fall. After all, fall equals back to school season. 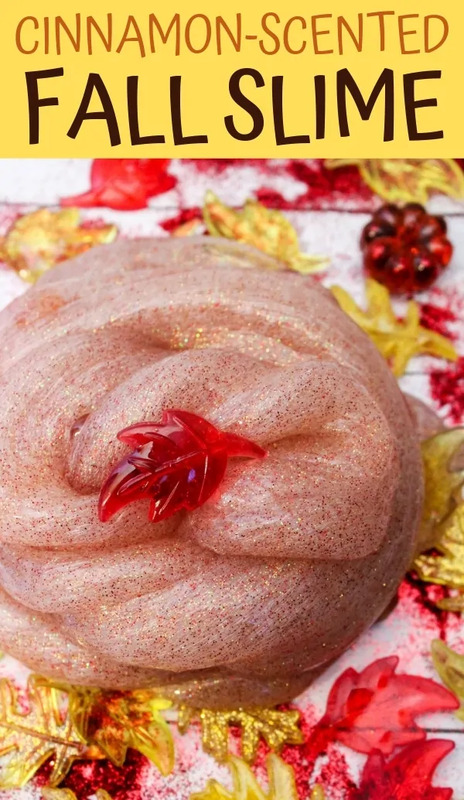 Thankfully, there are tons of fun Fall activities that you can do with the kids to get them excited for the season, like this awesome cinnamon-scented Fall slime. 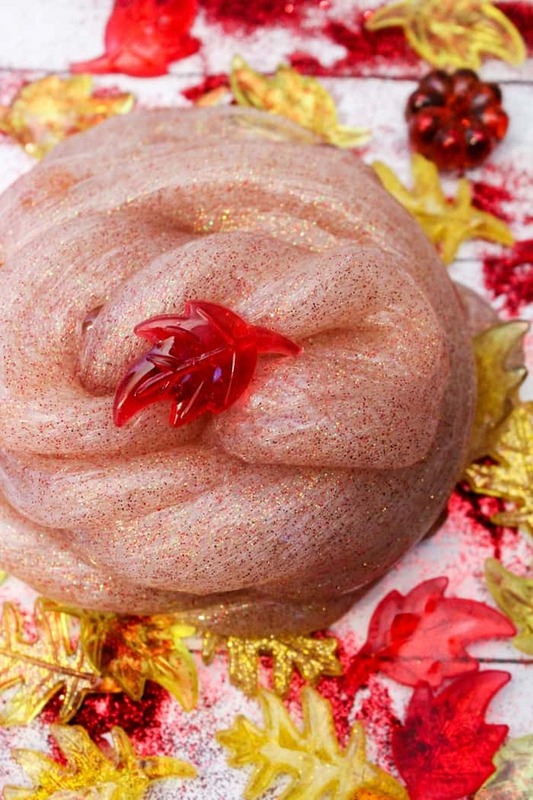 Not only is this Fall slime filled with fun leaf shapes, but it has glitter and an amazing cinnamon scent. 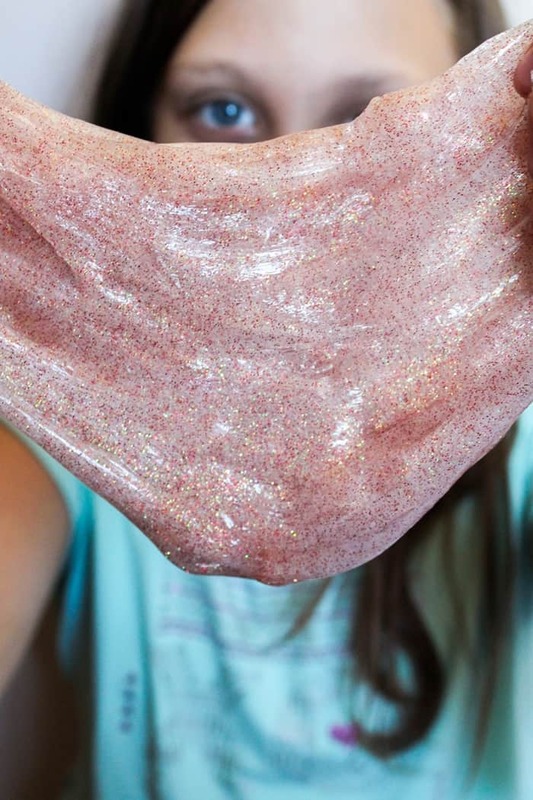 Of course, you really can make this slime smell like anything you want by switching out the essential oil that you use. Or, omit the essential oil altogether if you prefer a non-scented slime. There is one important thing to keep in mind whenever you use essential oils — they can cause allergic reactions. If you are a teacher and planning on making this with your class, it might be best to skip using essential oils just to play it safe. 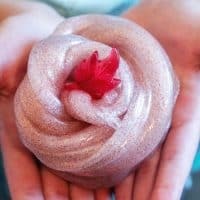 If you are going to make this slime at home with your children and you would like to include the cinnamon essential oil, it might be smart to test a drop of the essential oils on your kid's skin before using it in the slime. That way, if your child did have any reaction, you would know not to use it. 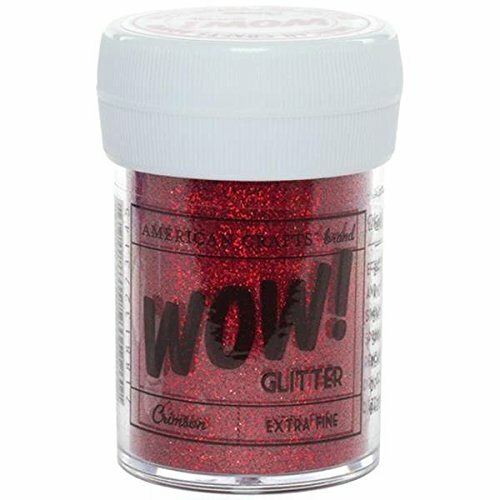 A cinnamon-scented glitter slime perfect for a Fall preschool science activity or for sensory play. 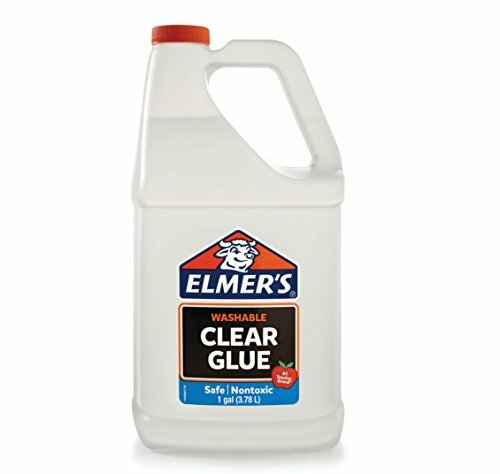 In a medium-size container, combine glue, water, and baking soda. Stir to mix well. 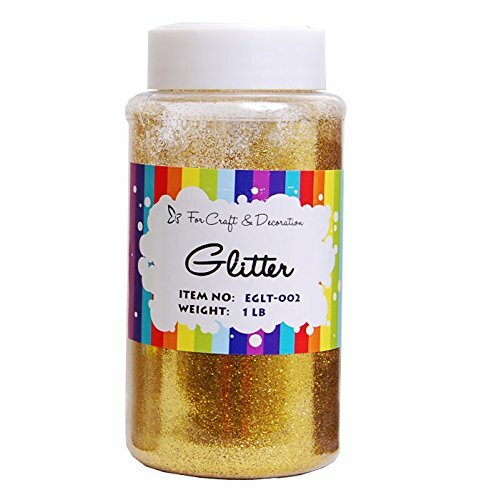 Add glitter, stir to mix well. Add a few drops of the cinnamon essential oil. I suggest starting with 1 drop, stirring, and and seeing if that gives you enough scent -- if not add more 1 drop at a time. 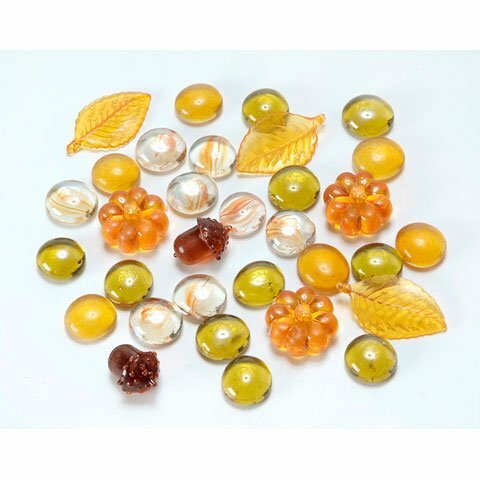 Add in some of the fall vase fillers. Add saline solution. The slime will instantly begin to form. It will be very sticky but don’t panic. Continue to mix the slime in the bowl until it is more formed. Then, knead the slime until it is no longer sticky. 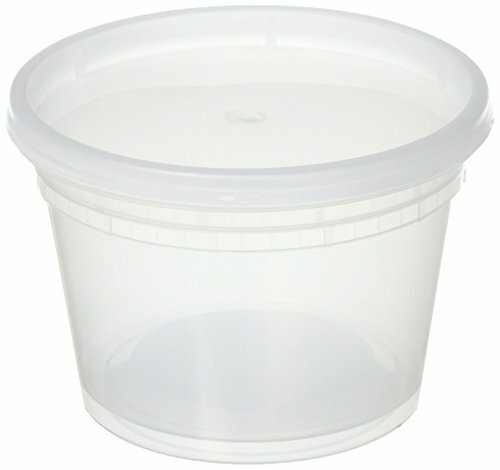 Store slime in an airtight container in-between play session to prevent drying. 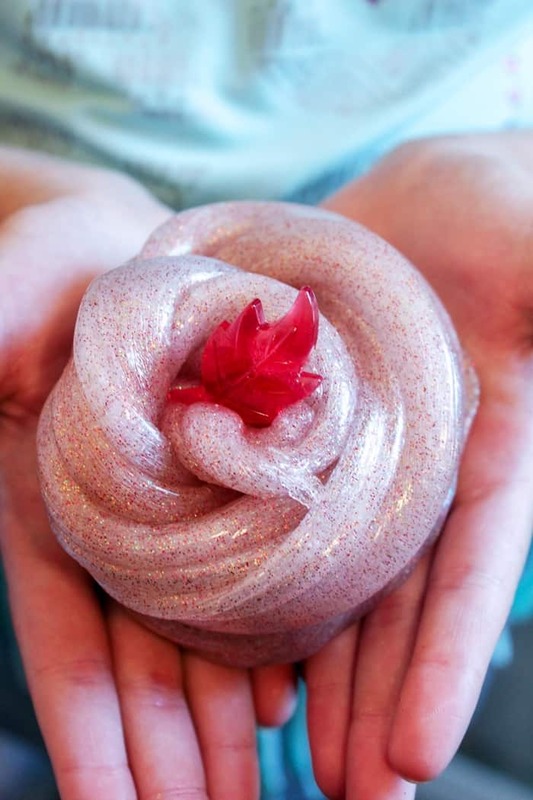 I love that it is cinnamon scented — so perfect for Fal. Pinning it and making it this fall. Thanks. I love this! I just saw cinnamon essential oil for the first time the other day, I didn’t know it existed. 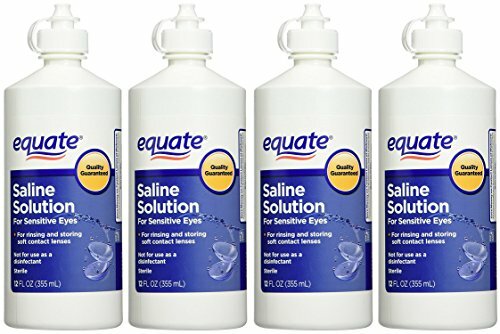 I’d like to make this one for sure, and contact lens solution I haven’t seen in slime recipes before, I wonder what it does.